Most lovers of aviation already own every book ever written on the subject, right? Oh. Wait. That’s only what the publishers believe. And while I understand book publishers’ need to promote their latest releases, I also know that a year’s worth of new titles is still only a flurry of falling leaves compared to the 100+ years of aviation literature that already exists. So rather than review the last book I bought (it was Adam Makos’ A Higher Call by the way, masterfully reviewed by Frank Van Haste here) I thought you might gain more by discovering my favourite aviation book of all time. 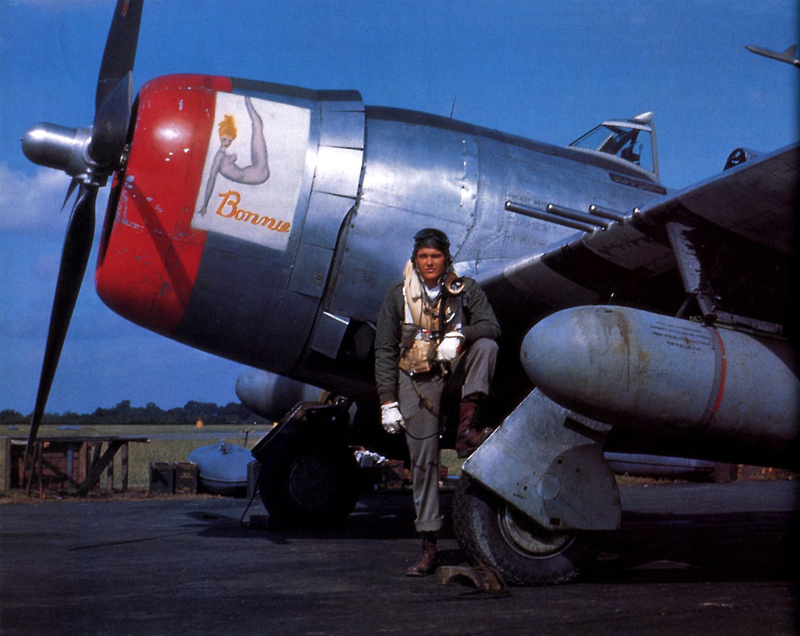 ‘Fighter Pilot’ page 210, a 56th FG, 8th AF pilot with his P-47 Thunderbolt. Fighter Pilot belongs to a series of books that began with Philip Kaplan’s fascination for the forgotten Second World War air bases that were fading back into England’s ‘green and pleasant land’ in the late 1960s. That quote is the perfect exemplar for the book. It’s not just another ‘all balls and no forehead’ fantasy of fighter pilot lore at all. It goes much deeper. Kaplan has created a deeply insightful, informative and entertaining narrative that has far more of a place in every pilot’s locker than the inevitable copy of Top Gun. The text ties together a wonderful collection of experiences from pilots who did the actual sweating in their suits, and often discovered the colour of adrenalin is brown, since aviation won its spurs in World War One. Over 16 chapters, Kaplan weaves a thoroughly engaging and entertaining history, through an anthology of quotes, recollections and explanations that celebrate the reality, the culture and the achievements of fighter pilotage since the opening shots. And then the sidebar notes, anecdotes and image captions provide enough extra content to stand as a whole second book. Starting at the beginning, Chapter I Spiderman uses a short biography of Anthony Fokker to introduce the invention of air fighting, covering the men, machines and tactics that first defined war in the air. 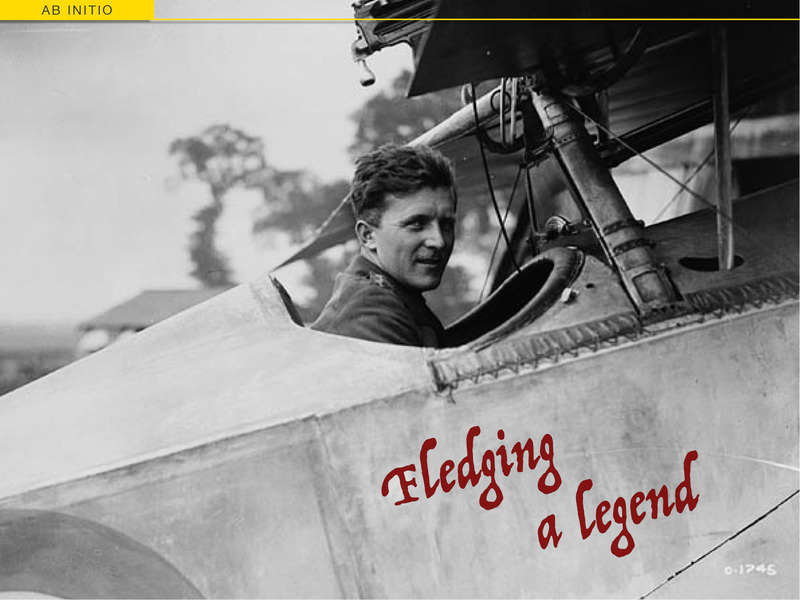 Chapter II immediately – and rightly – serves to shatter any Quixotic illusions of aerial chivalry. No More Mister Nice Guy is all about the business of killing. It’s then cleverly offset in turn by Chapter III, The Media Version, which counters the death-dealing of Chapter II with the mass media perceptions that refuse to die. This isn’t just a guide to the best and worst flying movies ever made though. Instead, the author turns his sights to how the fighter pilots feel about their media portrayals, versus the realities of service life and the absence of gallant heroism for those who earn their pay fighting alone, afraid and frequently lost. For all that, Chapter IV is The Horses – an unabashed celebration of fighting aircraft and the affection that pilots have for them. Fighter Pilot isn’t a technical book though, it’s a human one. And that point couldn’t be made more elegantly than it is with this chapter. Figures and specifications are kept to a minimum – just enough for meaningful comparison. What stands above is how the machines enabled (or limited) their pilots, and how those pilots felt about flying them. It’s a glorious approach, worth the whole price of the book on its own. I won’t go on through each individual chapter here. I’m sure you get the idea by now. The flow is superb, and the scope is vast. First person accounts of fighting over the Western Front; Life On Leiston by the 357th Fighter Group’s much loved unofficial historian the late Merle Olmsted; mach 1 shootdowns in Middle East conflicts; Sabre versus MiG gunfights over Korea; a whole chapter on the deadly work of WW2 ground attack; the constant tension of the Cold War standoff in Europe…It’s all there, along with Fokkers, Fulcrums, F/A-18s, Sopwiths, Spitfires, 109s, 190s, P-51s, P-61s, Lightnings, Falcons, Demons, Hurricanes, Tornadoes and still more. There are also areas of great insight, adding even more depth and dimension to the picture Kaplan paints: Put Up Your Dukes tells the story of Canada’s identical Warren twins who joined, served and survived together through WW2; You Can’t Fight a War Without ‘Em gives long overdue credit to the women who’ve loved, inspired, supported and served with fighter pilots over the decades – sweethearts, showgirls, ferry pilots, base personnel and even nose art models; and, ultimately, Sometimes You Lose – a candid acceptance that there can only be one winner, and often luck plays as big a part as skill. The experience of being shot down, evading the enemy, and transitioning from a freedom of speed and altitude to life behind barbed wire is covered as comprehensively as every other aspect of flying fighters. 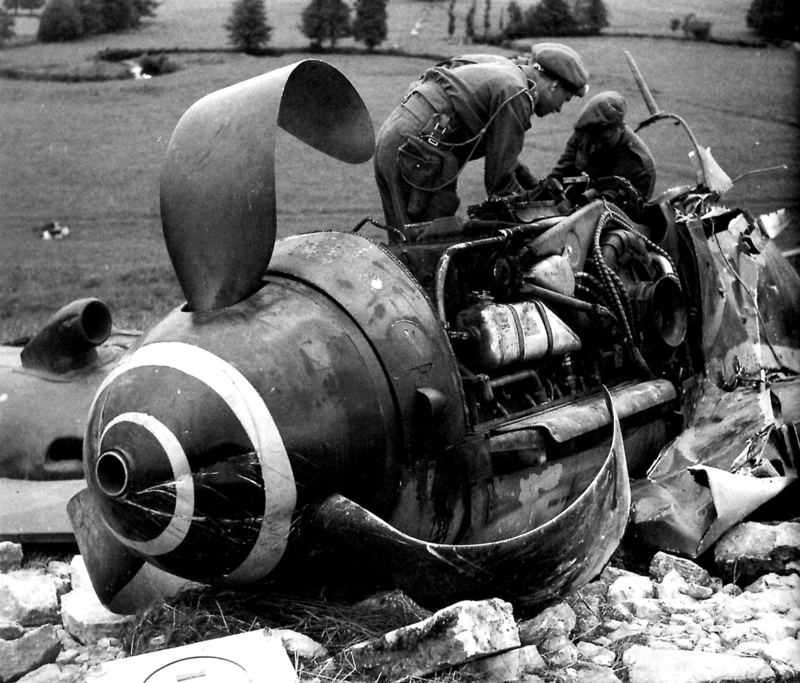 ‘Fighter Pilot’ page 224; ‘Sometimes you lose’ – a crashed Bf109E, England, 1940. 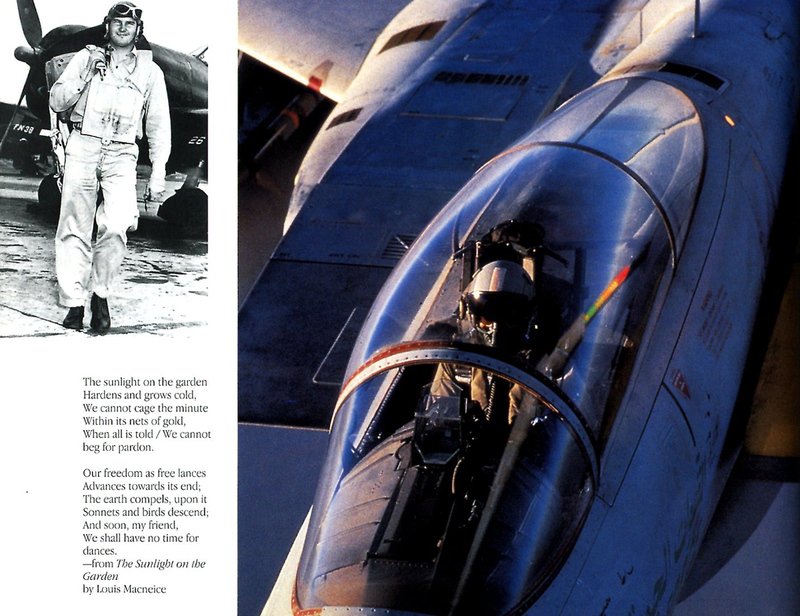 Philip Kaplan is a professional publications Art Director and the layout of Fighter Pilot reflects his consummate skill. It is jaw-droppingly elegant – as ideal for your coffee table as your bedside reading. There isn’t a single image that isn’t superb. Even the thumbnail portraits are alive with bright, far-seeing eyes, and etched facial lines that tell stories as graphically as those iconic vapour trails over London in the summer of 1940. 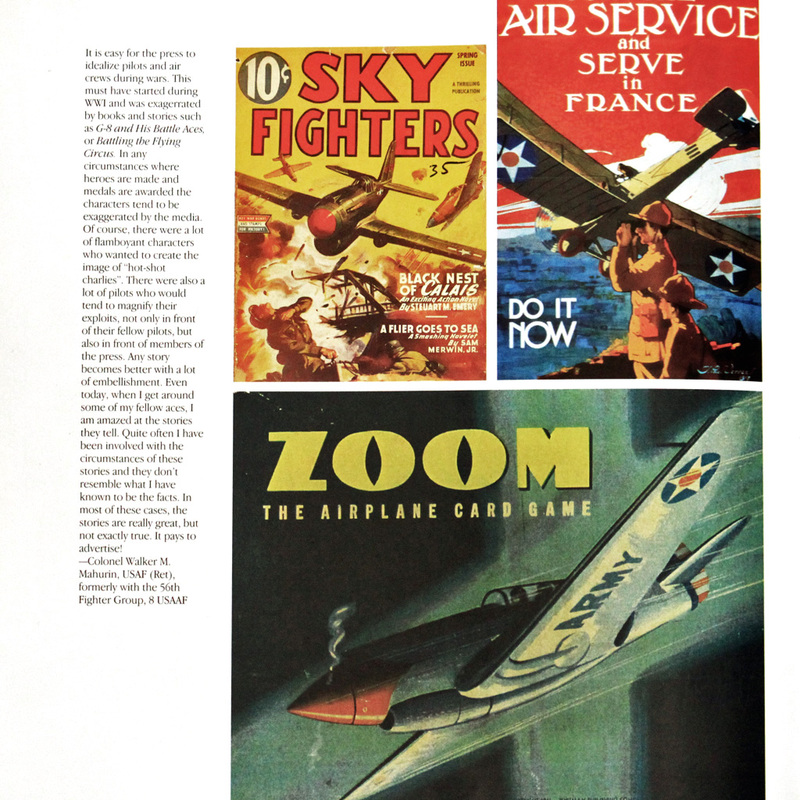 An entire kaleidoscope of fighter aircraft, fighter pilots, pilots’ paraphernalia, and evocative period advertising adorn the pages. More than a few of these images are presented in full-page glory – or larger; Kaplan isn’t afraid to go across the gutter to give an image the scope it deserves. 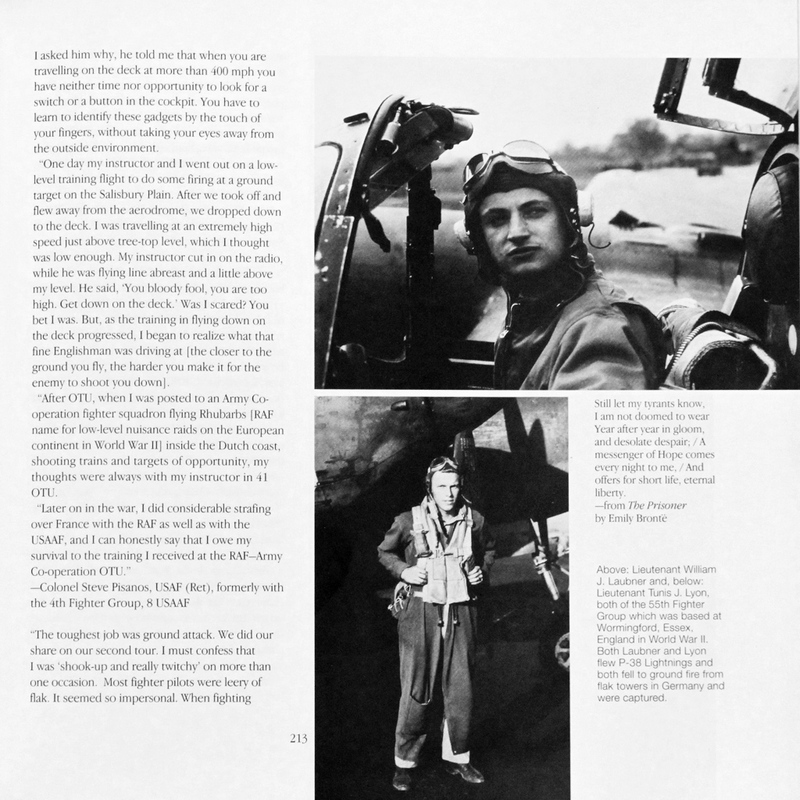 ‘Fighter Pilot’ page 213; Lts William Laubner and Tunis Lyon, 56th FG, 8th AF, 1944. Plus Kaplan includes his own evocative shots of abandoned airfields from across England, windswept monuments to bullets, blood, supreme machines and more than a few parties. By now, you may be feeling that I’v gushed a bit. Guilty as charged. But (1) I wouldn’t review a book I didn’t like and (2) I really do love this one. I’ve read it, cover to cover, more times than any other book I own. And I’ve leafed through it many more times than that. Just preparing this review took me off on tangents that would last for pages. I believe the word is ‘un-put-downable’. I can also recommend several of Kaplan’s other works which focus in on related themes. Fly Navy is a particular favourite of mine, but your tastes could also run to One Last Look (his original celebration of forgotten airfields), The Few, Little Friends, Round The Clock, Convoy, Wolfpack, Chariots of Fire (Tanks), and more. Did I mention saving the best for last? Of course I did. But I wasn’t just talking about Kaplan’s stunning layout. Oh no. The very best, saved for very last, is this: You can buy yourself a fine copy of Fighter Pilot for $1 (US) here. No kidding. I got a friend a copy for under $10, including the postage to Australia. And that’s the real beauty of discovering slightly older books.